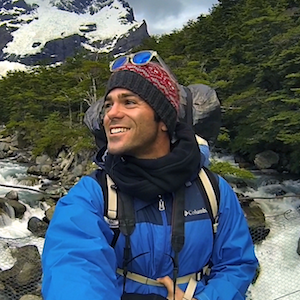 Have you seen the latest preview for tonight’s episode of “The Amazing Race”?! 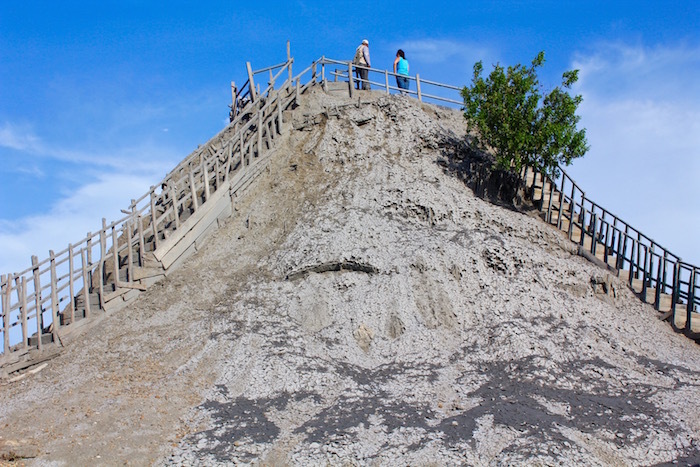 When I first saw it I couldn’t help but scream, “I’ve been there!” I immediately recognized Colombia’s El Totumo Mud Volcano and I can’t wait to see it make an appearance on tonight’s episode. 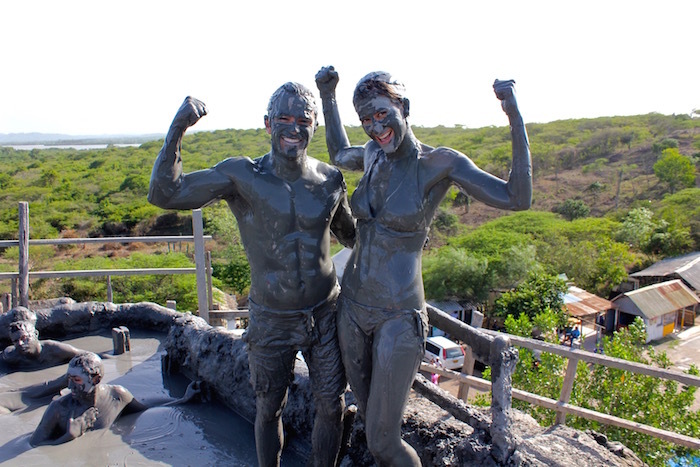 Most visitors to El Totumo Mud Volcano travel from the small city of Cartagena, Colombia’s Old City. 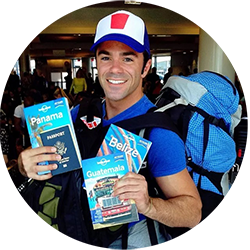 The easiest way to get there is to book a half-day trip through your hostel, hotel or a local travel agency. 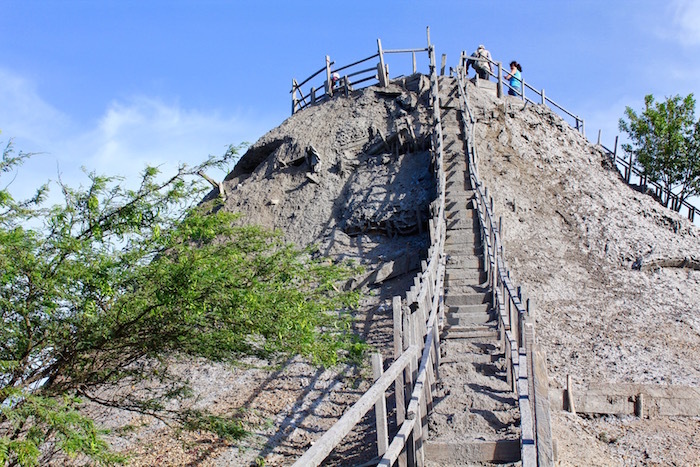 The mud volcano is about a 45 to 60 min drive northeast of Cartagena and is one of the top tourist destinations from the city. 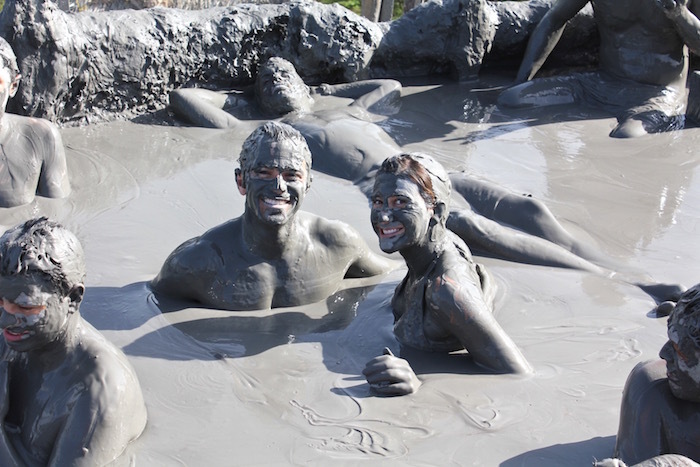 My friend Jamie and I booked our El Totumo Mud Volcano excursion through our hostel. Upon arriving, I was shocked at how out of place the volcano seemed! 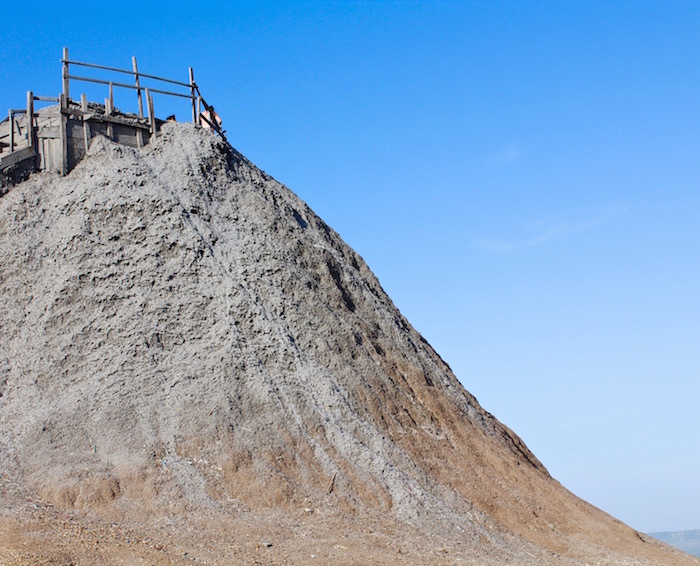 Located in a small lake village was this random 15 meter high muddy-looking mound. After walking up the wooden staircase to the top, I was even more shocked at how many people were packed in the crater! Fun Fact – Legend has it the volcano was active until a priest sprinkled holy water onto it. Waiting our turn in line, we couldn’t stop laughing at how ridiculous everyone looked completely covered in mud. 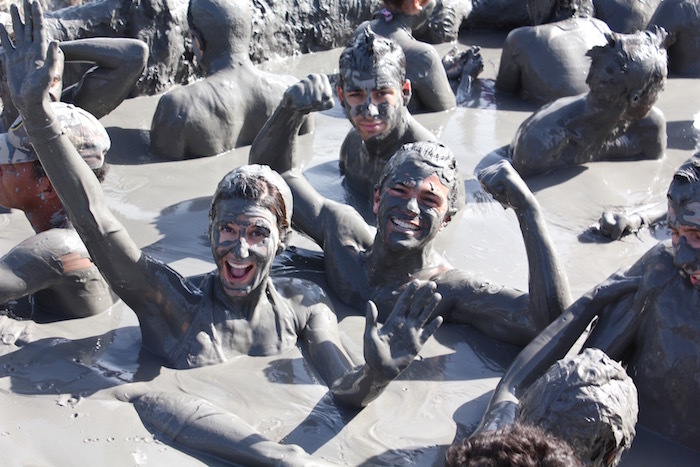 This was my very first mud bath experience so I was pumped to see what it would actually feel like. 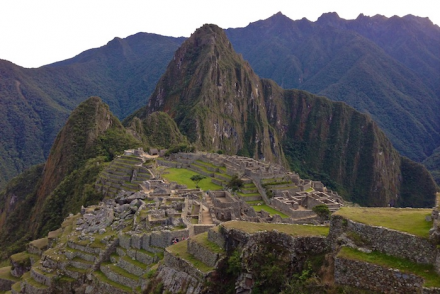 Once it was my turn, I stepped onto a small wooden ladder and slowly entered the volcano. The mud was cool in temperature and had a much thicker consistency than I imagined. 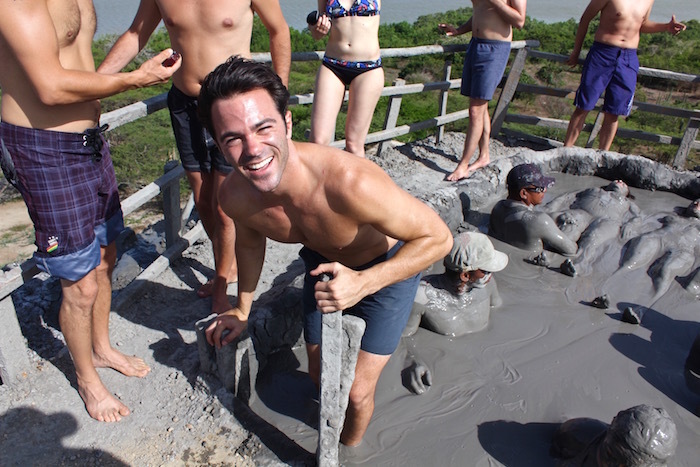 The local Colombians working inside the mud volcano helped lower, cover and massage my entire body in mud. 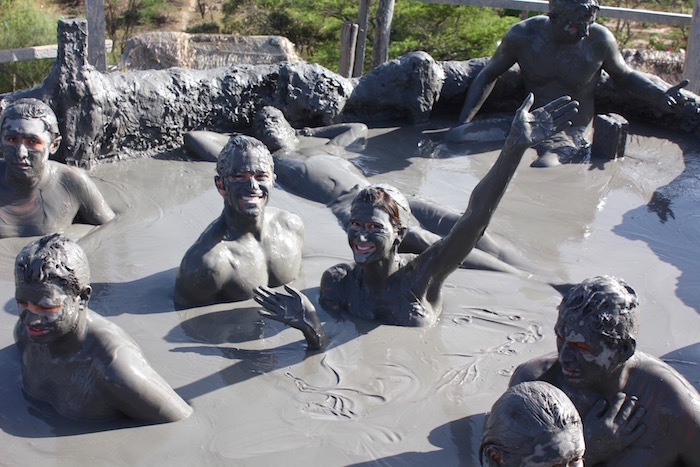 Fun Fact – The mud contains minerals such as sulfur, iron, calcium, magnesium, aluminum and other all-natural ingredients that are actually good for your skin. After we were completely covered, we had time to chill and move around in the volcano. It was fun floating in the mud and constantly rubbing it all over my body. I never expected to have a cleansing experience being so filthy. 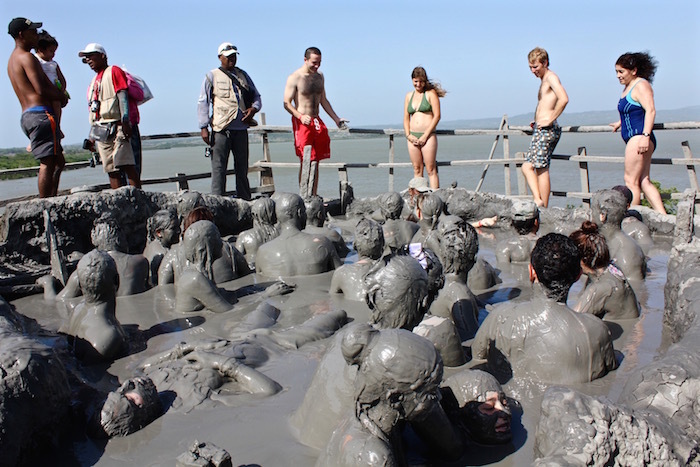 I do have to warn you… a LOT of tourists visit El Totumo Mud Volcano so the mud wasn’t the cleanest. There was hair, bugs and even band aids (gross, I know) mixed in the mud. 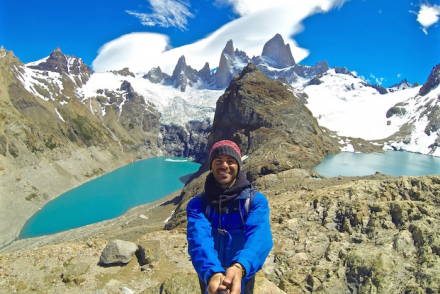 However, the overall experience overshadowed this — after all you’re bathing in MUD! Once time was up, we let the mud dry on our skin to take some epic photos. After carefully walking back down a wooden staircase, we were then guided to the lake to wash off. 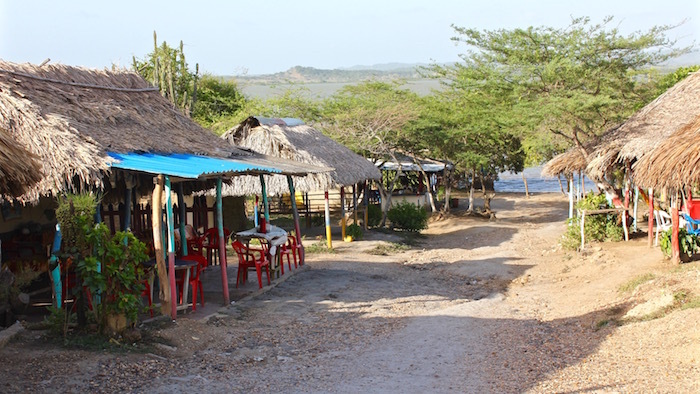 BEWARE – within seconds I was standing in the lake, naked, being bathed by a Colombian woman! Laughing at the whole situation, the local women basically rip off your clothes and clean you faster than you have any time to react. 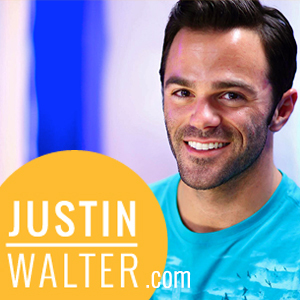 Ever since “Survivor” aired back in 2000, I’ve been a huge fan of reality TV game shows including “The Amazing Race.” I remember watching the show over the years thinking, “I want to go there!” It’s crazy, TWENTY-EIGHT seasons later, being able to watch the show and now say, “I’ve been there!” As an adventure traveler, I truly believe that travel is a choice and if you choose to make it a priority, your life will be full of amazing TV-worthy adventures.